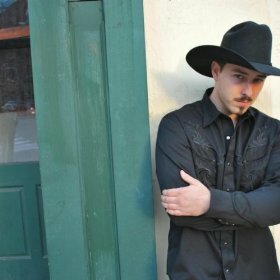 Jordan Cater’s latest single Daddy Never Had A Chance is a great traditional country song. If Jordan had come out in 1989 he’d be a surefire hit on country radio. It’s 2011 and I still think Jordan has a chance to make it in this business. The song is country to the core and I think it deserves a few listens. What a great video. You can see Jordan pouring his heart into the lyrics as he tells the story about his momma and daddy. The song is about a god fearing woman trying to wrangle in good timing drinking man. Over time daddy moves in from the outside of the church to the inside and eventually works his way up to the front of the pews. Over time he changed his drinking ways and came around to get the acceptance of his Christian family. In the lyrics it’s said momma was the one that wore him down with her love for him and the love of her faith. It’s a great story, but what I like most is the use of words for the lyrics. This is country music storytelling at its absolute best. Every once and a while you’ll catch someone like Jordan Carter singing a song like Daddy Never Had A Chance at a local tavern or festival. There may only be like 20 or so people in the crowd, but when the band starts playing the song everybody pays attention. You know they’re going to make it someday. It’s just a matter of time. Look for this song to continue rising the charts.